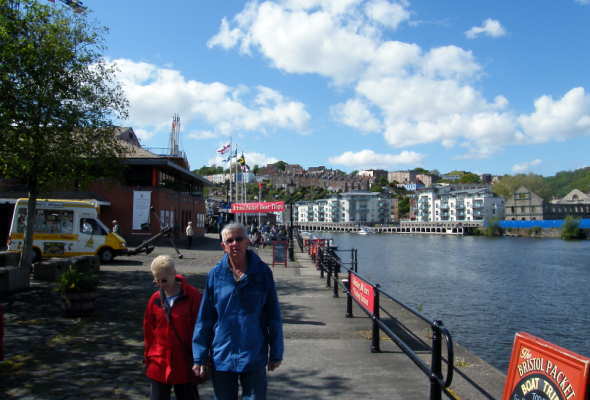 Bristol has much to offer the tourist due to its historical wealth and vibrancy and this information guide is intended to be comprehensive in nature for the visitor to get the best out of exploring the city and its surrounds. Bristol is the largest city in the south west of England, 105 miles (169 km) west of London, and 44 miles (71 km) east of Cardiff, with a population of approximately half a million. The city lies between Somerset and Gloucestershire and has been politically administered by both counties in part at various times. 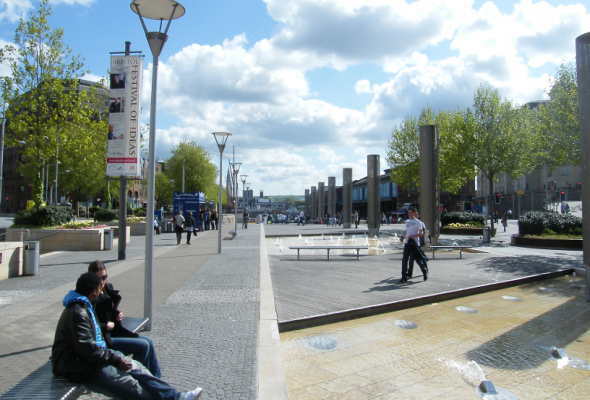 However, Bristol is historically a county in its own right and is properly entitled the City and County of Bristol. 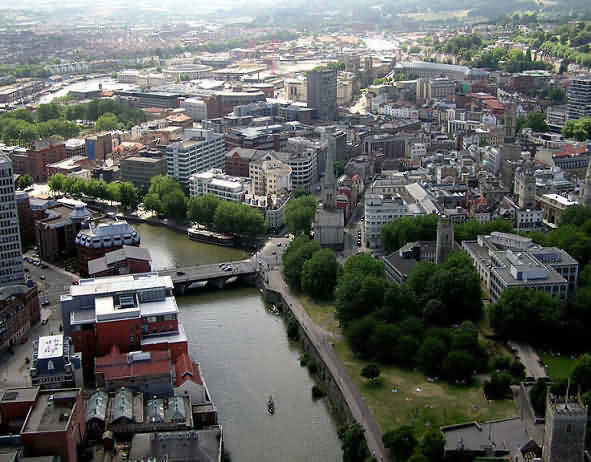 The city grew up around the original junction of the River Frome with the River Avon, adjacent to the original Bristol Bridge in the eleventh century. Despite its inland harbour location, in the 17th and 18th centuries, was one of the world's greatest ports. Newfoundland was discovered by John Cabot in 1497 and the merchants of Bristol exploited the New World with fortunes being made from sugar, tobacco, slaves and rum. 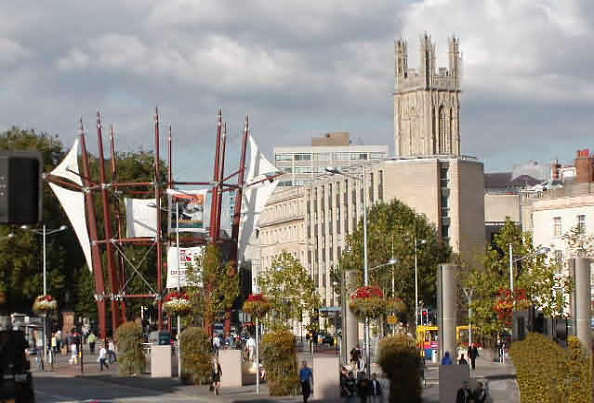 When slavery was abolished trade declined and Bristol became noted for engineering and synonymous with the famous engineer, Isambard Kingdom Brunel. Projects he was involved with included the Great Western Railway, the magnificent Temple Meads Station and the two well known steam ships, SS Great Britain and the SS Great Western and, most famously for the Clifton Suspension Bridge now symbolic of the city. The SS Great Britain was the first iron hulled screw-propelled steamship to cross the atlantic. (See pictures). It was Brunel who played a major role in the cutting-edge design and construction of the floating harbour, which is still in use today. This new lock system trapped water in the city's central harbour and allowed ships and boats to stay afloat without being affected by the changing tides. Bristol is now a modern, vibrant and attractive city with richly varied architecture including fine old churches; elegant Georgian terraces and crescents (especially in the Clifton suburb) and imposing Victorian public buildings. The ancient church of St. Mary Redcliffe was described by Queen Elizabeth I as 'the finest parish church in England'. The Anglican Cathedral Church of The Holy and Undivided Trinity is located on College Green and is also a fine architectural example that attracts many visitors and not to be confused with the Church of St. Mary. Sightseeing of the city can be by open top bus and guided walks and the best way to see its maritime heritage is by water. Bristol International Airport is located (postal code - BS48 3DY) 8 miles south of Bristol City Centre at Lulsgate Bottom in North Somerset and is the commercial airport serving the City of Bristol, England. In 2003, the airport drew 45% of its passengers from the former county of Avon area, 13% from Devon, 10% from Somerset and 10% from Wales. In 2008 it was the ninth busiest airport in the United Kingdom, handling circa 6.5 million passengers, a 5.7% increase since 2007 making Bristol the fastest growing of the ten largest UK airports in 2008. Before the Corn Exchange was built business was conducted in the street. Merchants completed money transactions on four flat-topped bronze pillars called 'nails'. These still stand in Corn Street, the oldest of which is 16th century. This is the origin of the saying - 'paying on the nail '. The Bristol Channel is a major sea inlet in the island of Great Britain, separating South Wales from Devon and Somerset in South West England, and extending from the lower estuary of the River Severn to that part of the North Atlantic Ocean known as the Celtic Sea. It takes its name from the city of Bristol and is over 30 miles (50 km) across at its widest point. The Bristol Channel, on both the South Wales and West Country sides, has more miles of Heritage Coast seaboard than any other stretch of water in the United Kingdom. Heritage coastlines include Exmoor, Bideford Bay, the Hartland Point peninsula, Lundy Island, Glamorgan, Gower peninsula, South Pembrokeshire and Caldey Island. In 2004, The Times "Travel" magazine selected Barafundle Bay in Pembrokeshire as one of the best twelve best beaches in the world. In 2007 Oxwich Bay made the same aforementioned magazine's Top 12 best beaches in the world list, and was also selected as Britain's best beach for 2007. The Bristol Channel and nearby Celtic Sea beaches of Wales, North Devon and North Cornwall are acknowledged by many travel magazine writers as the best in the U.K. for sand and water quality.